There’s a lot to do in Richmond Hill, Georgia! Seeking a fabulous find? 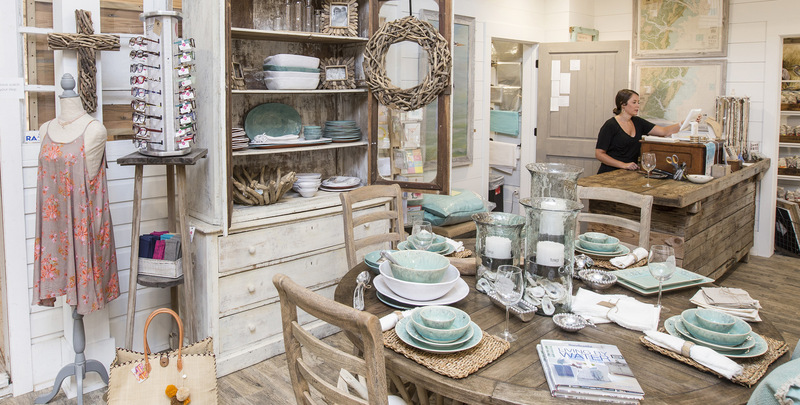 Visit our unique boutiques and gift shops filled with books, antiques, coastal home decor, local art and more. As the helpful hardware folks in your neighborhood, we promise that helping you is the most important thing we have to do today. We have a large variety of amazing assorted chocolates...creams, jellies, truffles, caramels, salted caramels, nuts, strawberries, etc. Our store also has many types of gift items! With over 5,000 consignors, our inventory is constantly being updated! Our savvy shoppers enjoy our extensive inventory of top quality new and gently recycled items for ladies and teens. 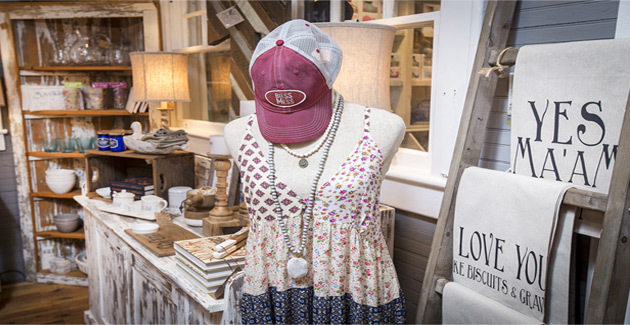 Coastal apparel, jewelry and home décor are the catch of the day at Ella's. Ft. McAllister Marina is Richmond Hill’s only full-service marina, able to accommodate yachts up to 100 feet as well as your everyday runabouts. Remember your visit to Fort McAllister with a souvenir gift, book, apparel item and more from the gift shop. Georgia Game Changers Running Company is the athletic footwear, accessories and apparel headquarters for Richmond Hill and Coastal Georgia. Our focus is on footwear that allows individuals to run or walk naturally. Our two full sized locations are at exit 58 in Townsend, Georgia and our smaller roadside location is at exit 49 in Darien, Georgia (McIntosh County). If you missed us or are unable to stop by, please check out our online store where we can ship the taste of Georgia straight to your door! Check out Missy Mae’s Southern Boutique for Richmond Hill-themed and coastal gift items, clothing and cute shoes. We are a local veteran family owned clothing store for the Richmond Hill community. We have many brands with others on the horizon. We are thrilled about being a part of the community and look forward to bring quality products. We offer everything you’ll need to spoil your pooch- including all natural foods, treats, stylish collars, harnesses, leashes, apparel, feeding dishes, beds, carriers, strollers and much, much more! Along with our vast selection of hardware and lumber, we offer a full Benjamin Moore paint department, equipment rentals for homeowners and contractors, hunting and fishing gear, pool supplies, and the best lifestyle clothing and outdoor products in the area. Learn about Ways Station, now Richmond Hill, in a building built in 1940 by Richmond Hill's most famous residents, automobile industrialist Henry Ford and his wife, Clara, which served as a kindergarten to local children. Richmond Hill Pharmacy has a wide selection of gifts. Let one of our friendly staff members help you select that perfect Birthday, Wedding, Baby, Teacher, Christmas or Just Because gift. We will even gift wrap your purchase for FREE! Bags, bags, and bags! We have a huge line of baby apparel, beach items, polos, t shirts, robes, and sew much more. Shop with us this week in Richmond Hill! Farmhouse favorites, reclaimed furniture and gorgeous home decor. 10471 Ford Avenue next to All Things Chocolate.